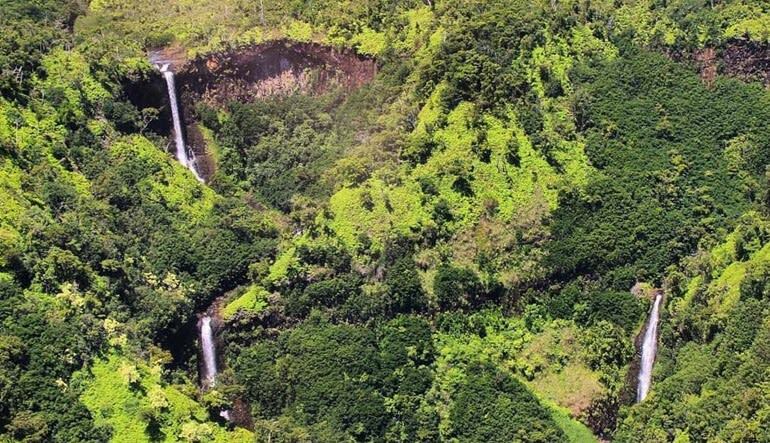 Discover the Big Island’s incomparable majesty during this all-new, 90-minute event crowned by an exclusive landing at a remote waterfall on the Kohala Coast. 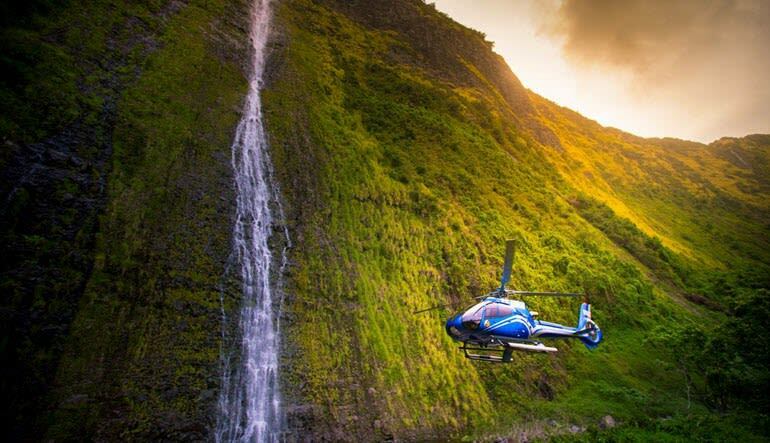 Discover the Big Island’s incomparable majesty during this all-new, 90-minute event crowned by an exclusive landing at a remote waterfall on the Kohala Coast. Witness the razor-like ridgelines of the stunning north Kohala Coast from the Waipio Valley to the Pololu Valley, and enjoy dramatic views of towering sea cliffs and a black-sand beach. 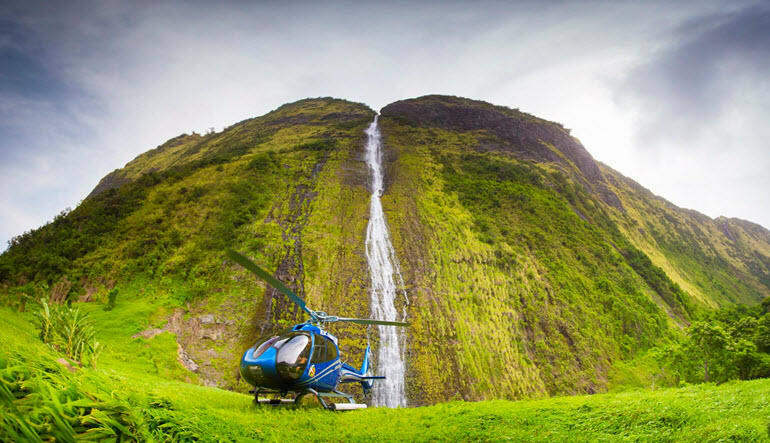 Glide by the soaring walls of the Waimanu Valley, and experience the unforgettable sight of multiple waterfalls cascading down from as high as 2600 ft. You’ll also see the sprawling, 250,000-acre Parker Ranch, one of the largest ranches in America. 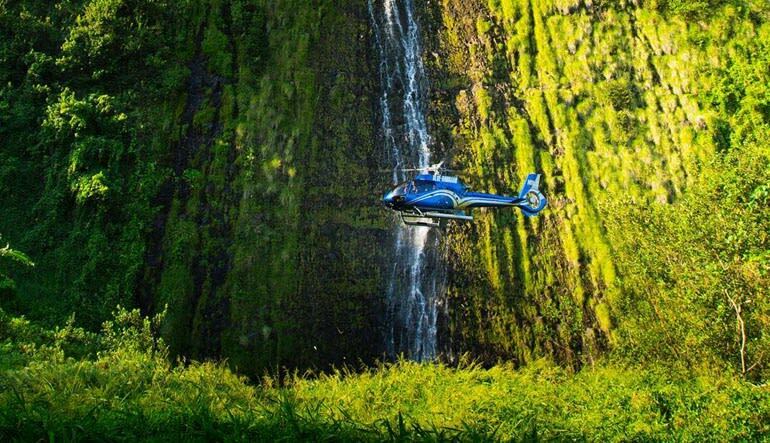 Finally, the adventure reaches its climax as your expert pilot, a State of Hawaii Certified Tour Guide, lands at the base of our exclusive waterfall. Enjoy delicious refreshments as you bask in the beauty of this secluded jewel of paradise. Absolutely the best thing we’ve done on Hawaii! Tour was amazing and Greg, our pilot was professional and knowledgeable. It was the highlight of our trip! We would Incredibly/ to the highest recommend this tour!!! Greg was an Incredible pilot with knowledge of everything in the tour. He treated us with a couple of unexpected views. We'll actually, a whole lot of unexpected views. It is a once in a lifetime your that you need to add to your bucket list and accomplish. Mahalo Greg!